We have just launched our new luxury range. Our luxury range is an elegant collection of perfectly crafted sumptuous dark and mystical home fragrances. The collection is highly focused on masculine scents that appeal to both men and women. Dark Honey and Tobacco which is dark and powerful blend of tobacco leaf, softened with honey accords. A sophisticated masculine scent. Tuscan Leather which is designed to scent and style your home bringing a raw, yet reserved sensuality, whilst being truly extravagant and almost primal. Finely crafted to denote the warming scent of leather, our Tuscan Leather Tea Lights are designed to scent and style your home bringing a raw, yet reserved sensuality, whilst being truly extravagant and almost primal. Our Dark Honey and Tobacco candle is a dark and powerful blend of tobacco leaf, softened with honey accords. A sophisticated masculine scent. 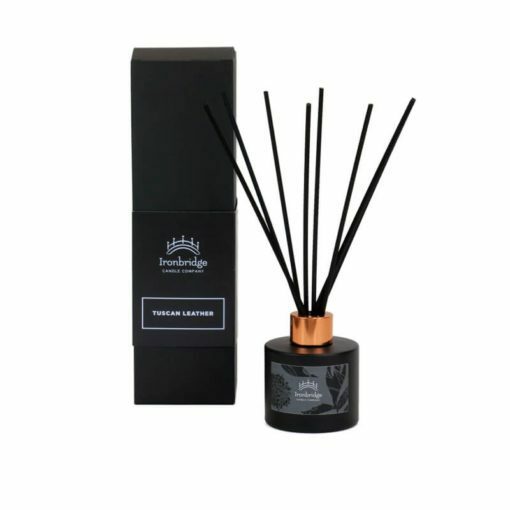 Finely crafted to denote the warming scent of leather, our Tuscan Leather Reed Diffuser is designed to scent and style your home bringing a raw, yet reserved sensuality, whilst being truly extravagant and almost primal. Transform the atmosphere of your home today with this modern classic. Our Dark Honey and Tobacco 3-Wick Candle is a dark and powerful blend of tobacco leaf, softened with honey accords. A sophisticated masculine scent. Our Dark Honey and Tobacco Tea Lights are a dark and powerful blend of tobacco leaf, softened with honey accords. A sophisticated masculine scent. Our Dark Honey and Tobacco luxury candle is a dark and powerful blend of tobacco leaf, softened with honey accords. A sophisticated masculine scent. Finely crafted to denote the warming scent of leather, our Tuscan leather luxury candle is designed to scent and style your home bringing a raw, yet reserved sensuality, whilst being truly extravagant and almost primal. 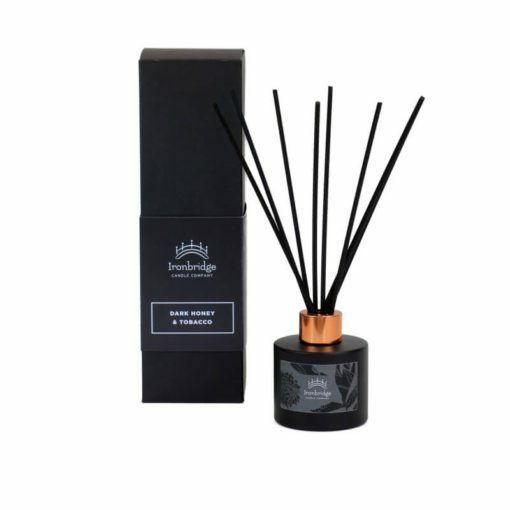 Our Dark Honey and Tobacco Reed Diffuser is a dark and powerful blend of tobacco leaf, softened with honey accords. A sophisticated masculine scent. This entry was posted in Candles, Latest News and tagged Candles, Luxury Range, Reed Diffusers.